Press each biscuit into 6-inch round. Place on 2 large or 3 small greased cookie sheets. In bowl, mix chicken and barbecue sauce. Top each round with 1/4 cup chicken mixture; sprinkle with 2 tablespoons cheese. Bake at 375°F 10 to 15 minutes or until crust is golden brown and cheese is bubbly. 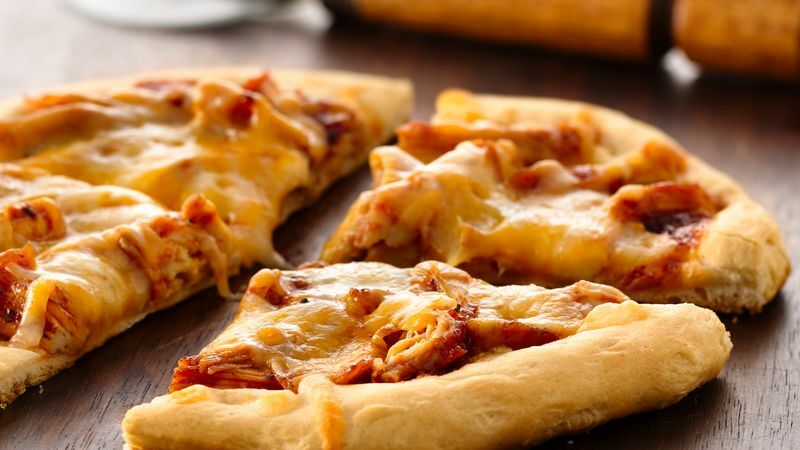 Use any flavor barbecue sauce or cheese that you have on hand for these pizzas.